I Followed The Yellow Brick Road in Camden. Here’s What Happened. This post has nothing to do with drugs or anything you’d expect from Camden, so sorry to burst your bubble if that’s what you were looking for. This post does still have a very special story about Camden though. 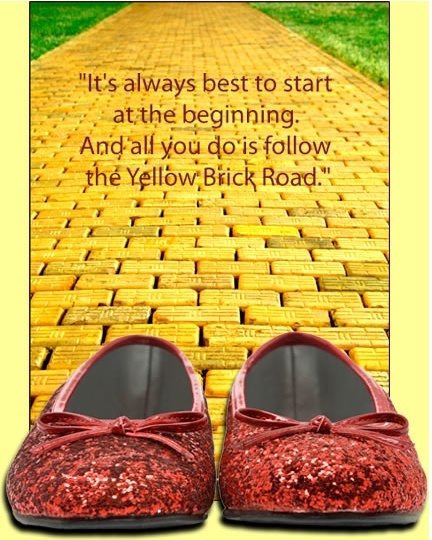 I present to you, the newly revised (and most difficult chapter to write) of my novel, “Follow the Yellow Brick Road”. Loss. It’s one word with a multitude of feelings attached to it including despair, emptiness, and hopelessness. For some people, loss means nothing. You can’t lose something if you’ve never had it to begin with, right? That’s how hearing loss worked for me. My mother, on the other hand, can remember the exact moment when she discovered my hearing loss. I was two years old and my mother would call out my name, but I never responded. The doctors thought it was just a phase or a case of the “terrible twos”. When my mom banged a handful of pots and pans together behind my back and I didn’t flinch, she knew something was wrong. Defying the doctors, my mom took me to see Miss Terri, an audiologist at Cooper Hospital in Camden, New Jersey. After performing a series of hearing test, Miss Terri confirmed what we already knew: I had profound hearing loss. The best way to treat it — or at the time, the only way to treat it — was with hearing aids. I needed them in both ears. After being diagnosed with profound hearing loss, I made the journey to Camden once every two weeks for speech therapy lessons. My mom and I would drive from our small condo in Washington Township to the big city every other week. On our way in, we’d pass endless food and street vendors selling everything from hot dogs to pretzels and even random t-shirts. It amazed me how at 9 o’clock in the morning people would still be out selling lunch foods. Everyone always had a smile on their face and seemed happy to be working. “That’s because you don’t understand what this city is really like. It’s not safe.,” Mom explained. I’d understand it more when I got older and would see individuals hauled off by police for God knows why on more than one occasion. But as a child, it was a magical place with audiologists and speech therapists that thought the world of me and were helping me to hear and speak well. “Terri, I’m sorry but I have to stop you,” my mom interrupted. “She’s not actually hearing you – she’s reading your lips,” my mom said. I didn’t know what Miss Terri was saying, I could only guess, but I knew I was wrong. Thanks a lot, Mom. I thought. When Miss Terri finished with the hearing test, it was on to either Miss Vicki for speech therapy where we would do different activities. One of my favorites involved using what I liked to refer to as the “magic mirror”. It was a long, oval-shaped mirror that rested in a tan wooden frame on wheels. “Ready to use the magic mirror?” Miss Vicki asked. “Sh!” I said. It was easy for me to think of the sound as a syllable, as if Miss Vicki was the teacher and I the student, getting yelled at for talking. “Okay, Kimmy. We’re going to play a game now,” Vicki said. I didn’t have the heart to tell her I hated being called “Kimmy”. “suit case,” I whispered as I threw the ball. Being a toddler with profound hearing loss was easy. Nobody asked any questions about my hearing loss or questioned anything that I did or didn’t do. My parents couldn’t have been more supportive and understanding of my hearing loss. My sister paid no mind to it. And my audiologist and speech therapists couldn’t help me enough. I was a toddler without a care in the world. The only thing that made me different from any other toddler in the world was the fact that I couldn’t hear. As far as I could see, I was one in the same with the rest of the hearing world. Unfortunately, as I’d learn in my grade school years, not everyone saw things that way.